The United States Fashion Industry Association will host a free webinar on November 20th featuring the Cotton LEADS™ program. Introduced in late 2013, Cotton LEADS™ is a joint effort of the U.S. and Australian cotton industries built on five principles of responsible production, continual improvement, national-level efforts, international collaboration and transparency in the supply chain. Mark Messura, senior vice president of Global Supply Chain Marketing for Cotton Incorporated, will be featured as the webinar speaker. Cotton Incorporated is one of several industry organizations that are participating in the Cotton LEADS™ program. More than 220 companies, including Target Corporation, Fruit of the Loom, Brooks Brothers, American & Efird, Swift Spinning, and Gerber Childrenswear have signed on as Cotton LEADS™ partners. These partners have expressed their support for both using U.S. cotton and for U.S. cotton producers. “The goal of Cotton LEADS™ program is to raise awareness among retailers, manufacturers and brands about the actions that U.S. cotton producers are taking to make sure cotton is produced responsibly,” Messura said. “And by partnering with the Australian cotton industry, U.S. cotton producers and the U.S. cotton industry are again demonstrating world leadership in helping cotton meet the challenges of sustainability and compete successfully against other fibers.” For more information email info [at] usfashionindustry [dot] com. The Cotton LEADS™ Web site is www.cottonleads.org and contains a full list of the Cotton LEADS™ program partners. In early October, the Importer Support Program of The Cotton Board hosted farm tours for representatives of major brands and retailers who import cotton. These farm tours are part of an ongoing effort to educate decision makers in the supply chain about cotton production. The tours offered a unique experience for these members of the cotton industry. 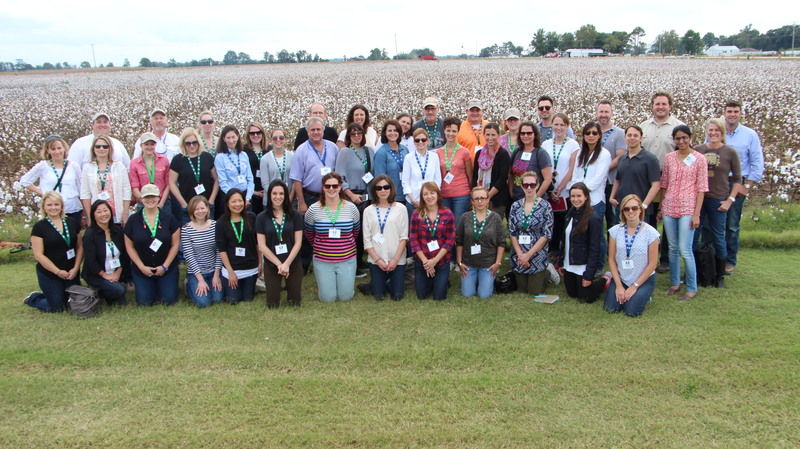 Participants had the opportunity to meet U.S. cotton producers on their farms and learn first-hand how U.S. cotton production is leading the way with traceable, transparent and sustainable cotton production. These annual tours walk attendees through the cotton production process from cotton seed and harvesting, to the ginning process and classing at a USDA classing office. The tours offer participants a hands-on experience in an intimate setting where one-on-one dialog with cotton farmers, scientists, and other experts is encouraged. 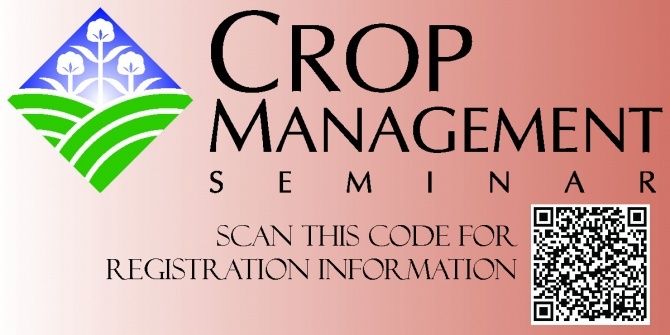 The farm tour event is among the most highly rated and anticipated activities offered by the Importer Support Program. For the third time, Cotton Incorporated is hosting the world’s longest runway show. Cotton’s 24 Hour Runway Show will feature a different cotton look every minute - totaling 1,440 looks celebrating cotton fashion. With last year’s audience nearly reaching one million viewers, the fashion marathon returns to the 24-hour-city of South Beach and will be live streamed online beginning Friday, November 7, at 8 p.m. EST, through Saturday, November 8 at 8 p.m. EST. Cotton Incorporated welcomes Giuliana and Bill Rancic as they return to host Cotton’s 24 Hour Runway Show for the third year. “Bill and I are thrilled to return to beautiful South Beach to host Cotton’s 24 Hour Runway Show,” says Giuliana Rancic. “Between my busy travel and work schedule, staying on top of the latest fashion trends, and playing my most favorite role of all, mom to Duke, cotton is my go-to fabric — it is so versatile and works itself into all moments of my life.” With nearly 100 brands and designers providing looks for each ‘cotton moment,’ Cotton’s 24 Hour Runway Show is a testament to the enduring appeal and versatility of cotton. Cotton Incorporated is partnering with PEOPLE to bring the live runway experience inside the home, and will be streaming from South Beach on TheFabricOfOurLives.com, PEOPLE.com, InStyle.com, Entertainment Weekly’s EW.com, Essence.com, SouthernLiving.com and RealSimple.com. Prices for the NY December future contract tested levels as high as 68 cents/lb in early September, but fell to 61 cents/lb late in the month. In recent trading, prices have increased slightly and have been holding to levels between 63 and 66 cents/lb. The A Index followed a pattern similar to NY futures, but the magnitude of decline was less substantial, with values decreasing from 75 cents/lb early in September to 71 cents/lb recently. As was the case last month, the USDA’s latest report featured an increase to global figures for 2014/15 beginning stocks (+1.0 million bales, to 101.3 million) and production (+1.4 million bales, to 119.4 million). The increase in beginning stocks was primarily a result of a larger estimate for Chinese production in 2013/14. The increase in the 2014/15 production forecast was primarily a result of heightened expectations for the Indian, Chinese and Pakistani harvests. The U.S. production number decreased 283,000 bales, to 16.3 million. The estimate for global mill-use rose 1.6 million bales, to 113.7 million. At the country-level, the largest upward revisions to consumption figures were for China, Indonesia, Vietnam, Pakistan and Brazil. With increases to global supply estimates exceeding the upward revision to global mill-use, the forecast for ending stocks increased. On September 19th, the Chinese government announced that it would not issue any discretionary quota in the 2015 calendar year. This was a significant market event since the question of how much cotton China might import has been a major source of uncertainty. The clarification that imports would be restricted to a low level put downward pressure on prices around the world. Despite the clarification for 2015, it is unknown how much discretionary quota from the 2014 calendar year exists and will be used before January. Regardless of what the eventual volume might be, it is unlikely that any remaining 2014 quota will be enough to change the dominant fundamental story for the 2014/15 crop year - that there are record stocks both within and outside of China. This surplus of cotton could be expected to continue to put downward pressure on prices into the future. Read the full Economic Report here.